As the UK suffers another white-out bookies Ladbrokes have slashed the odds on this being the coldest winter on record. Last July NASA warned us we could be entering a mini-ice-age as our sun enters its solar minimum, which ironically released the energy of a billion WWII atomic bombs with a C5-class solar flare a couple of days ago. Last summer, the entire northern hemisphere suffered a massive heatwave from North America, Europe and Asia at the same time with warm records broken across the globe. 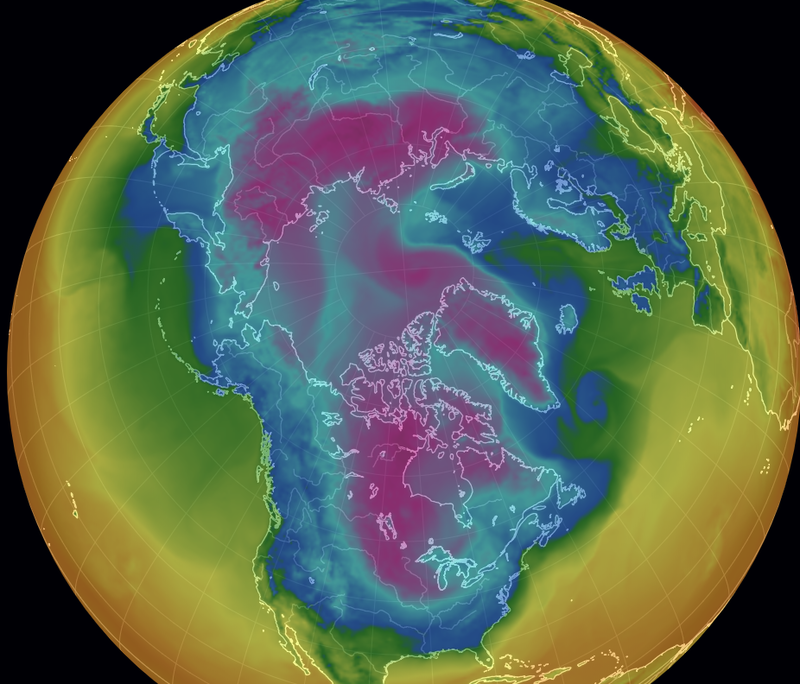 It's happening again, only this time, the entire Northern Hemisphere has been plunged into record cold. 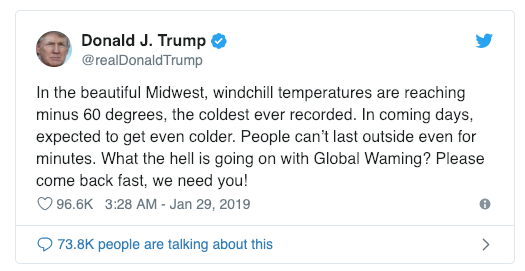 In the U.S headlines such as CHICAGO COLDEST EVER? FROSTBITE IN MINUTES! -60° WIND CHILL MINNEAPOLIS, are dominating the news and weather websites. Chicago police are reporting gunpoint robberies targeting people wearing warm jackets as temperatures plunge in the city. According to the Daily Express, Two-thirds of the United States will be a frozen ice-box today, as freezing arctic air spins across the US Midwest, clips the Great Lakes, the Ohio Valley and pushes on into New England. And the sub-zero cold and bitter winds will stick around for a couple of days, possibly bringing dozens of record lows with a life-threatening freeze before dissipating by the weekend, the National Weather Service reported (NWS). The hardest-hit area will be the Midwest, where wind chill could bring temperatures as low as -50 F (-46C) in the Chicago area by Tuesday evening, the NWS reported. One-to-two feet of snow was forecast in Wisconsin, and six inches in Illinois. With an extreme snow blizzard heading Britain's way, the bookies now make it just a 2/5 shot (from 4/7) that this is the coldest winter ever. Alex Apati of Ladbrokes said: "We're strapping ourselves in for a snow-filled, record-breaking winter." 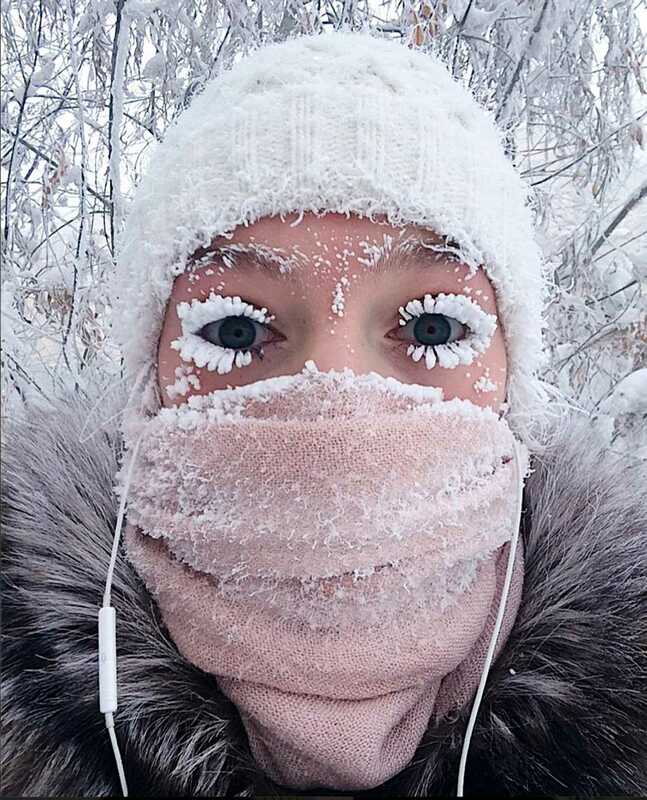 There's cold, then there's Siberia cold. Oymyakon, Russia — already considered the world's coldest permanently inhabited town — sank to a mind-numbing 45 degrees below zero (43 deg C) on Tuesday but that isn't even considered cold there. That's even colder than the average temperature on Mars, which is 80 below zero, according to Space.com. A winter storm currently hammering Ontario is continuing to wreak havoc across the province, and now Toronto's Pearson International Airport is the latest victim of the onslaught. On Twitter, Canada's largest airport said a number of airlines have had their flights delayed or cancelled as a result of the weather. Travellers who have flights booked out of Pearson this evening are advised to contact their airline and confirm their flight's status before arriving at the airport. And while Toronto is expecting up to 20 cm of snow on Monday, it's actually 'warm' in the city compared to a town in Northern Ontario. According to the Weather Extremes website, the coldest place in the world right now is Geraldton, Ontario, which is in the district of Thunder Bay, and currently feels like -46°C. The town is one of the places under the extreme weather statements issued by Environment Canada. Almost all of Ontario is under weather warnings today, which include extreme cold and special weather statements, thanks to what Environment Canada said is an Alberta Clipper tracking over Southern Ontario. Drivers are also being warned to use extra caution while on the roads. The last time there was a snowfall like this, more than 300 collisions occurred across the GTA in just 24 hours.